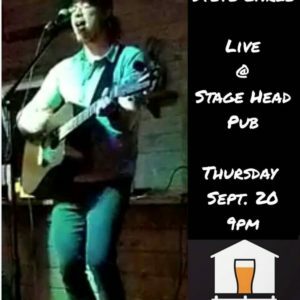 Thursday night @ Stage Head Pub: Join Steve Earle on stage for acoustic music after the Split Peas Kitchen Party. Enjoy a pint of Split Rock craft beer and relax with friends – create some unscripted moments. Thursday, September 20 is the first day of the 2018 Unscripted Twillingate – Digital Arts Festival and it’s a perfect night to enjoy some craft beer and awesome tunes!